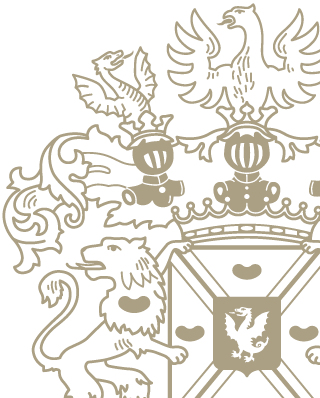 Reichsgraf von Kesselstatt | Unique terroirs and a relentless striving for excellence. Unique terroirs and a relentless striving for excellence. Covering 46 hectares, our vines occupy an extraordinary range of superior terroirs along the three river valleys that we call home – the Mosel, Saar and Ruwer. Expressing the individuality and personality of these unique terroirs as effectively and tangibly as possible is what matters more than anything else. To this end, we work painstakingly by hand, even on the steepest slopes – which is the only way to care for, foster and preserve the natural environment in which each and every vine grows. This and the tireless dedication of our employees are essential in producing world-class Rieslings. We also nurture our old vineyards attentively in order to maintain and increase the diversity of precious traditional varietal clones. During picking, we select our grapes meticulously and treat them carefully during the winemaking process – allowing them to ferment naturally and spontaneously in stainless steel. This enables us to highlight the individual character of our different sites. Our Grosse Gewächse also spend time in traditional oak casks, while extended ageing on the lees enhances complexity and fruit expression. Built in 2016, our new state-of-the-art press facility affords our grapes an extremely gentle ride. Not only do we deliver the harvest to the winery in small crates as quickly as possible, but we are also able to operate more quickly and efficiently from the pressing stage onwards, thanks to improved techniques that preclude the need for any pumping. Above all, this protects our precious fruit – and the finished wine reflects this. By avoiding pumping, we minimise the extraction of bitter compounds. Capturing that distinctive, delicate, minerally style for which the Mosel, Saar and Ruwer are so famous and with which no other winegrowing region can compete has always been important to us. We know that our region has potential for great dry wines that exude elegance and minerality but remain light in alcohol. This is why we have been our investing our heart and soul for many years into growing and producing long-lived world-class dry Rieslings.